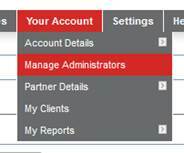 We are updating the way you add administrators into your account to make it easier to manage and update your various administrators that have access to your Zulu eDM account. 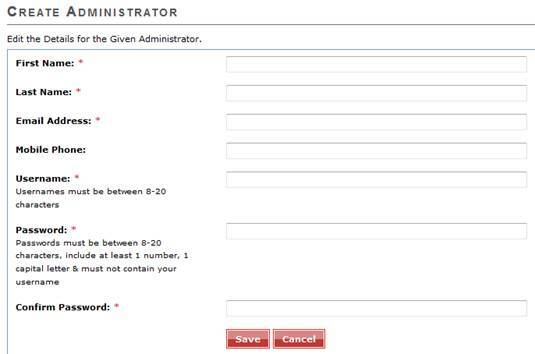 You will need to enter in all the information required and click “Save” this will save the administrator in the system for you. You will then need to select from one of the three options below as to how you wish this contact to be removed. 1. Revoke Access – This will disable the contact as an administrator from the system so they will no longer be able to access the admin area but if they are subscribed to receive emails from your company they will still continue to receive these. All of their user details will also remain within the account. 2. Revoke access & Unsubscribe – This disables the contact as an administrator as well as unsubscribes them from any future communications. Their user details remain in the account. 3. Remove from System – This disables the contact as an administrator as well as completely removing their details from the system. No records at all will remain in the system.